But have you improved image alignment and deghosting? 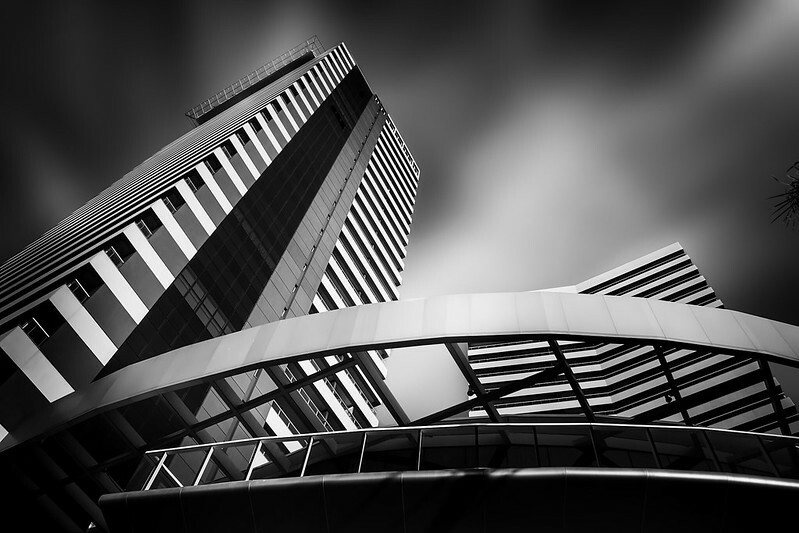 Once photography enters your bloodstream, it is like a disease. Gear: Canon G12, no tripod, no lenses, no flash, no remote, no cases or bags! The problem you described shouldn't have happened in the newest version of the program. * Improved effect "Dynamic Contrast". Anyone besides Martin tried Machinery HDR Effects? 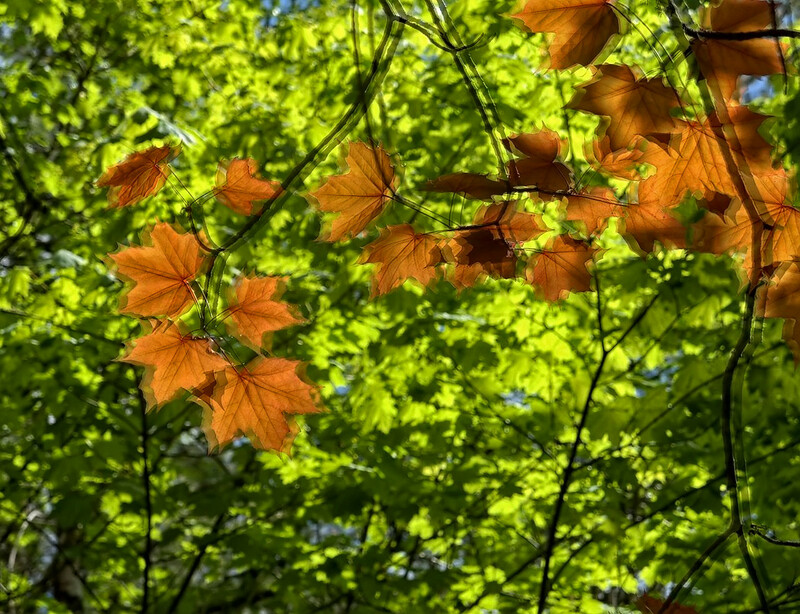 Machinery HDR Effects 3.0 is available now! 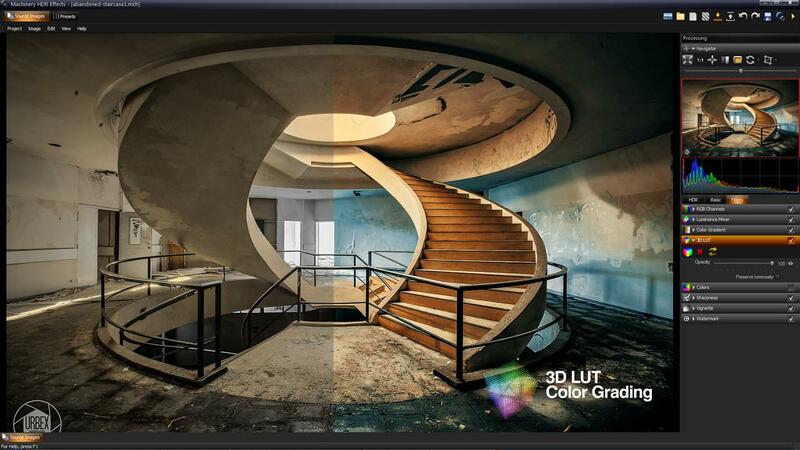 * Added effect ‘3D LUT' for color grading. 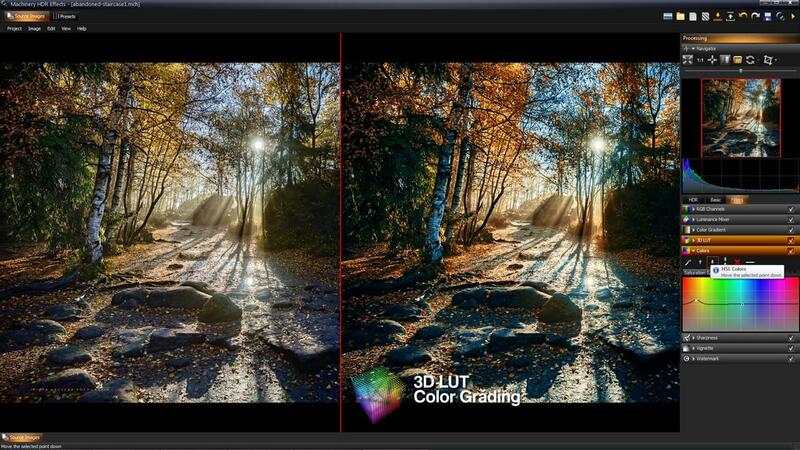 3D LUT is a table of colors which is used for transforming images. The name is well known to film makers who apply 3D LUT for giving specific style to their films. It often emulates analogue film reels. Machinery uses 3D LUT with the help of “.cube” file format. 3D LUT files aren’t included into the installer because of copyright but below is a list of sites where you can download it for free. 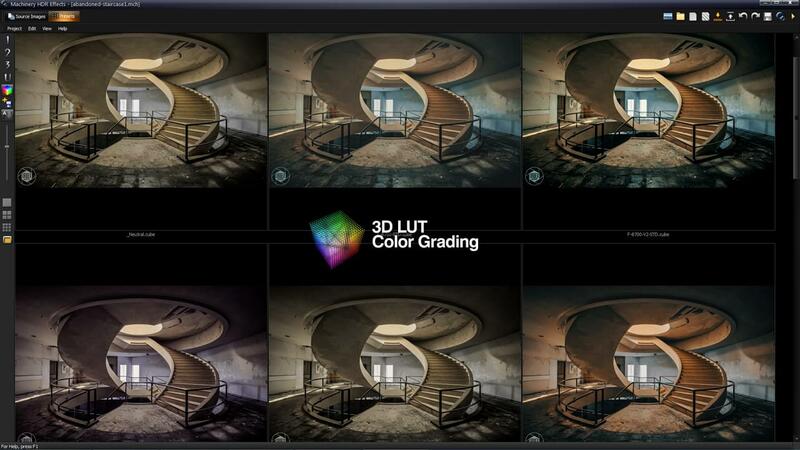 * Added tool to create 3D LUT color profile. Generate a color preset from any photo and video editing application - Lightroom, Photoshop, Camera Raw and more. The process is very simple. Click on 'Presets -> Edit -> 3D LUT test image' to generate a image with color pattern. Open this TIFF into your favorite photo editing application and apply a color correction on the pattern. Save it as TIFF without lossy compression. 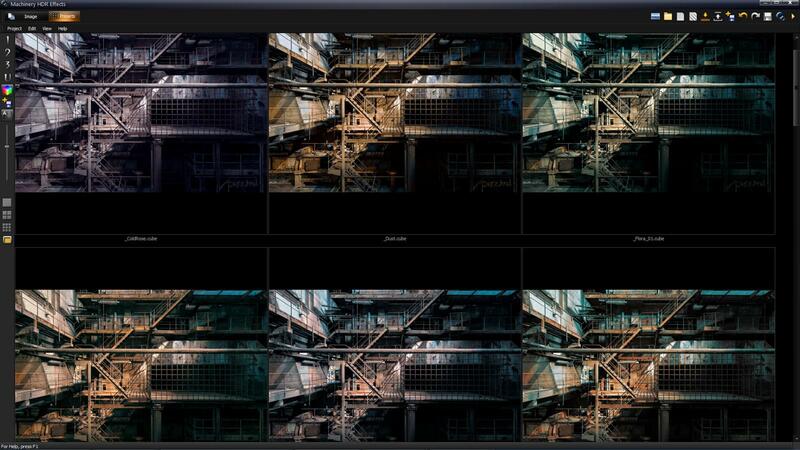 Return to the Machinery, use the option 'Presets -> Edit -> Create 3D LUT preset' then select just saved image. New preset will be visible in the 3D LUT Presets window. Machinery HDR Effects 3.0.40 available now (2017-08-19). * Added new 10 color presets 3D LUT.